It wasn’t a huge surprise to many when Harry Combs died on Dec. 23. Many who saw the 90-year-old aviation pioneer just the week before knew he was in failing health, due to a heart condition. Still, it was hard to believe he was gone. Harry Combs officially donated the Combs-Wright Flyer to the National Park Service. L to R: Mark Kennedy, Neil Armstrong, Harry Combs, Senator Ted Stevens, National Park Service Director Fran Mainella and Secretary of the Interior Gale Norton. “It was a classy way to go out, though, fists in the air,” said Lynn Krogh, International Jet Services cofounder and a longtime friend of Combs. 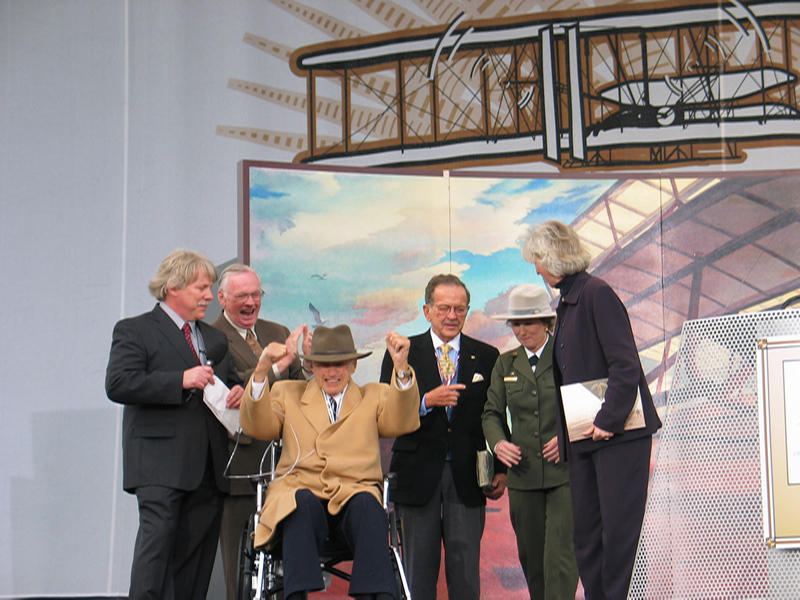 Krogh was referring to Combs’ appearance on the stage during the First Flight Centennial Celebration, on December 17, when he officially donated his Combs-Wright Flyer to the National Park Service. Krogh and other friends were well aware that Combs had been counting the days until Dec. 17, willing himself to hold on. He had joked often over the last couple of months that he wasn’t going to be able to make it to whatever celebration was planned for the 200th anniversary of powered flight, so he was definitely going to make it to the 100th anniversary celebration. There was more excitement waiting for Combs at the weeklong celebration. He was also honored as one of the century’s 100 Aviation Pioneers during a ceremony held at Wright Brothers National Memorial on Dec. 16. Krogh said that Combs’ trip to Kitty Hawk, N.C., brought him full circle in a rich and complete life. He added that Combs touched many lives. Another person Combs mentored was Larry Ulrich, presently VP of marketing for jetCenters, Inc., who got his start in aviation at Mountain States Aviation/Combs Aircraft Corporation. “When guys tell me that they started at the bottom, I tell them, ‘You haven’t seen bottom,'” he said. He remembers using a toothbrush to clean old polish off of rivets of a B-35 Bonanza. Later, he worked his way up to pumping gas on the line. Still, he considers himself lucky to have been a prodigy of Combs, whom he said sounded remarkably like Jimmy Stewart. Harry B. Combs was born on Jan. 27, 1913. His first glimpse of an aeroplane was in 1917, when he traveled with his grandmother across country on a three-day trip from Denver to his final destination, a Royal Flying Corps training field in Deseranto, outside of Toronto, Canada. They were there to visit his father, Albert Henry Combs, a cadet in training. Once in Deseranto, young Combs followed his father out to a cow pasture serving as the airfield. “There were all of these planes lined up and they were beautiful,” said Combs, at his home in Wickenburg, Ariz., in 2001. Combs clearly remembered watching an airplane roll out. 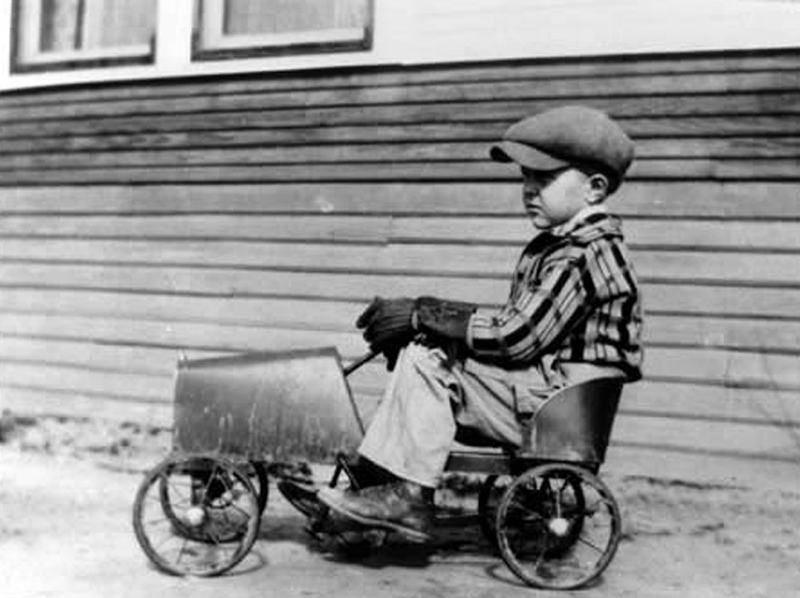 In 1920, Combs, 7, headed to Fessenden School, a preparatory school in Massachusetts. He would be enrolled there for six years, before attending Taft School in Connecticut for five years. While in school, Combs read “Warbirds: The Diary of an Unknown Aviator,” by Elliott White Springs, which was later considered by many as the most important writing on World War I aviation. White Springs’ words, “I’m absolutely spoiled for anything else,” made Combs desperately want to fly. In 1926, on summer vacation in Denver, Combs and his friend Rocky Hall decided they “just had to fly,” in spite of the fact that Combs’ father, who had been shot down twice during the war, told him never to get in an airplane. One day, the two boys hopped on their bikes and pedaled to an area of Denver where three airfields had been established within blocks of each other. Ignoring the field at 38th and Dahlia Street—opened two years earlier and home to the 120th Observation Squadron, Colorado National Guard—and the one at 46th Avenue and Colorado Boulevard, they headed to 26th Avenue and Oneida Street, a field established eight years earlier by Ira Boyd “Bumps” and Albert E. Humphries. When the Humphries decided to take up flying, they searched for the “best” plane, and purchased an Ansaldo, an Italian-made biplane. “Bumps and Al lived in a mansion between 7th and 8th streets on Pearl, across from the big red brick house where I lived; they had a lot of dough,” said Combs. In 1919, Bumps Humphries formed the Curtiss-Humphries Airplane Company. Two years later, he surrendered his Curtiss distributorship and sold his aircraft to devote his time to oil and mining interests. Don Hogan, a successful automobile dealer, became the next owner, and in 1926, leased the field to Colorado Airways, when they won the contract to carry airmail over a route that included Cheyenne, Denver, Colorado Springs and Pueblo. When Combs and Hall arrived at the field that year, they had only $4 between the two of them, but a mechanic kindly arranged for a pilot to take them up. Soon, they had squeezed into the front seat of the Ansaldo. Soon, they heard “Contact!” And they were off. Later, the boys experienced their first wingover. When the flight was over, Combs knew he was hooked. The following year, Charles Lindbergh made his historic flight across the Atlantic. The next year, Combs, still attending Taft, was rooming with Henry Dingley. “It was Charles Lindbergh’s old company,” said Combs. The allure was great, and luckily, Dingley, 17, had an automobile. In June 1928, they set off for Robertson Aircraft Company at Lambert Field, St. Louis. They were going to learn to fly! The boys stayed in a small house near the airfield for two weeks. It would be days before they had their chance to train in an OX5-powered Curtiss Standard J-1 biplane. Finally, it was time for his first lesson with his teacher, Julius Johan Peter. The first few minutes were tough. After the aviator had about 30 hours of flying time under his belt, he decided to try his hand at building his own sport biplane, and, at the age of 17, completed the Vamp Bat—which he had been working on for two years—with the help of Frank Van Dersarl. 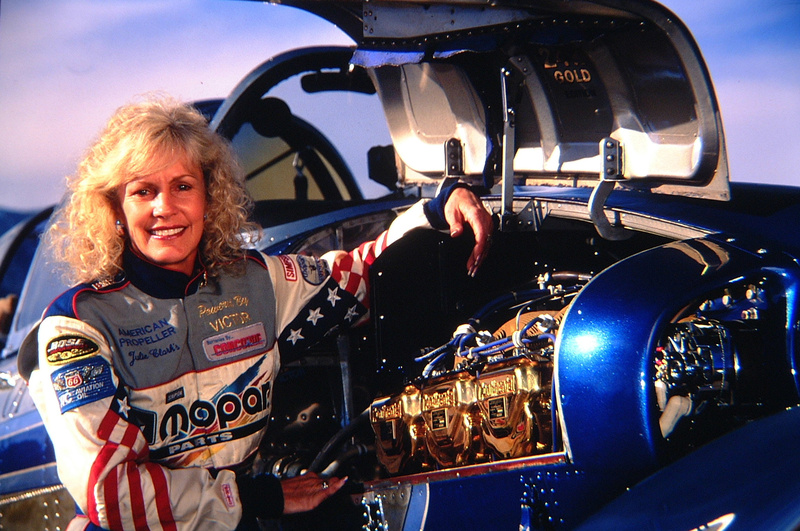 The Vamp Bat’s short life ended when, after flying it to Pueblo, Combs lost control of the airplane on a runway, while taxiing into position in a high wind. In 1931, Combs entered Yale University, in New Haven, Conn., where he enrolled in Sheffield Scientific School, majored in applied economics, and participated in and lettered on both the school’s track and football teams. He also served as president of St. Anthony Hall, Delta Si Fraternity and Torch Honor Society and chairman of Cannon & Castle Military Society. Upon graduation in 1935, he attended the Colorado School of Mines for a summer camp (reserve officer’s training), where he was commissioned ROTC second lieutenant, U.S. Army Corp of Engineers. He laughingly said he had no interest in becoming an engineer, and offered to pay an engineer to do a stress analysis test on a bridge for him; after all, wasn’t that what “smart” businessmen did? Cadet training would have followed, but Combs was in love, with Clara Van Schaack, and cadets couldn’t marry. The following year, Combs began working for the investment banking company of Bosworth, Chanute, Loughridge & Co., in Denver. He was also commissioned as a second lieutenant pilot officer in the 120th Observation Squadron. “I flew and flew and flew, with Uncle Sam paying the bill,” Combs remembered. Soon, he had his commercial license and his flight instructor rating. Along with the investment banking business, after earning his instructor rating, Combs hired on as an instructor with Ray Wilson, the future founder of Monarch and Frontier Airlines, who was operating a flying school. Wilson’s flying school, Ray Wilson Flight School, was located at 46th and Colorado Boulevard. When a fellow employee warned Combs, who had been out instructing each morning for an hour or two before arriving at the office to sell bonds, that management wasn’t going to hold still for him to exercise his energies elsewhere, he decided that it was probably time to move on. In 1938, the Guard abandoned Lowry Field, and moved to Denver Municipal Airport, which opened in 1929, and would later become Stapleton International Airport. At that time, Combs began leasing Lowry Field—about 30 acres—from Charlie Boettcher. Combs gave his first lesson through his new company in January 1939. Soon, the initial plane was replaced by a 55-hp aircraft, which was eventually replaced by one powered by a 65-hp Continental, etc. Eager students purchased many of the discarded aircraft. Two months after the business started, Lou Hayden, who had purchased an aircraft from Combs, became his business partner, and also began instructing. In 1939, Combs established Combs Aircraft Corp., to design and build an experimental aircraft known as the Combscraft—an economical, low-wing, retractable gear monoplane. Years later, they would find out that the reason the aircraft couldn’t pass a spin test (the nose of the aircraft had a tendency, while rotating, to come up) was because the fin on the craft should have been twice its original size. But, due to the company’s war efforts in upcoming years, the project would be abandoned. Combs knew that one of the best ways to make money was to get a franchise, but he was out of luck. 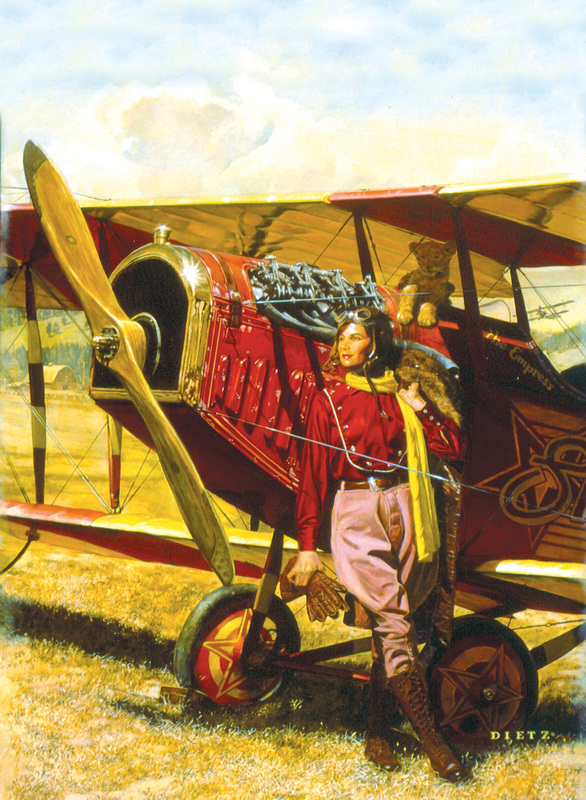 Wilson had the Piper franchise and someone in Cheyenne had the Aeronca franchise. But there was another good way to make money, which was the Civilian Pilot Training program. In this area, Wilson also triumphed first. Early in 1941, he and Major Fred W. Bonfils, both members of the 120th Observation Squadron, formed the Wilson and Bonfils Flying School; they were soon awarded a contract to give flight training to Army Air Corps flying cadets at Chickasha, Okla., followed by others. But, a commanding officer in the 120th let Combs in on a secret. He said that the Army Air Force was trying to decide on which of two planes, a two-place Stearman with a 165-hp Challenger radial engine, or a Waco, would be used for mid-point training. Harry and Ginney Combs, at their home in Wickenburg, Ariz., in 2001. According to the officer, the Stearman would definitely be chosen. But the Waco, no doubt, would be used for civilian training, and anyone who landed a civilian flying contract (a secondary contract) would be lucky, since these aerobatic contracts could earn $45 an hour, instead of the $12 to $15 primary contracts. A plan unfolded. There were three Wacos in the hands of the military. If Combs would go to Kansas City and take instruction from Joe Jacobson, one of the great aerobatic pilots of the day, and if he would put down a deposit on a Waco, the government could loan him one of their existing Wacos, which they would soon discard, until he received his new plane. Of course, he’d have to pass the course. It sounded easy; after all, thought Combs, he could do spins, loops and stalls. Arriving in Kansas City with over 1,500 hours of flight time, Combs found that Jacobson flew a Ryan ST, a low-wing, all metal, fixed gear aircraft that was a “wonderful stunt airplane.” Once in the air, the first thing Jacobson told him was that they would be doing a two and a half snap roll with a split S.
“What’s that all about?” thought Combs. Soon, they were upside down, and his feet had come off the rudder pedals. He’d noticed a dirty rag earlier along the throttle shaft and now knew what it was for—to wipe the oil off that now covered his goggles. Then, in midair, the engine quit. He was starting to get queasy and to believe that he couldn’t go on with his plan. Combs stood up, walked over to Jacobson, and asked if he could take the plane up. After going over the maneuvers again, he took off, and it started again. He was upside down. The motor quit. He got the engine running again. He tried everything four or five times. But the next morning there were problems. This time when the engine quit, at 10,000 feet, it didn’t start again. Combs, determined to make it back to the field, knew it was a coin toss as to whether the “air traffic controller” would flash a red light from a flashlight that said he couldn’t land, or a green one that said he could. It didn’t matter. He was landing anyway, and not on a runway. He came whistling in, on a green light, rolling right up in line with the other airplanes. Jacobson couldn’t believe that neither the plane nor the pilot were injured. And Combs was on his way. Back in Denver, the company soon had a new Waco, which they flew throughout the summer and fall, pulling in $65,000 in contract work. And there was more good news. They would be awarded Wilson’s primary CPT contracts, which included Colorado University in Boulder and Denver University. They bought the land they were on and Wilson’s fields. Combs Field was used for their commercial business. 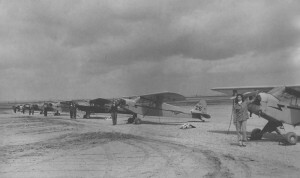 Wilson’s former airfield, now Hayden Field, was used to train students from D.U. Soon, their aircraft included a mix of Wacos and Cubs. And between 1940 and 1944, Mountains States Aviation trained 9,000 pilots, with 45 planes, 45 flight instructors and 160 employees. In 1944, Combs joined the U.S. Army Air Force Transport Command, flying four-engine C-54 transports on North Atlantic, Africa and India routes. He did this for a year, when, after applying for the separation board, he was given an honorable discharge, and returned to his company, which was in financial trouble. There were too many military contracts, and too many aircraft orders to fill. They had eventually snagged a contract with Piper, as a dealership, but it had been temporarily cancelled. However, after hiring extra help and filling orders, they were reinstated. “We were sweating all of the time trying to make people happy,” recalled Combs. In 1945, he was appointed to the newly formed Colorado Aeronautics Commission. Three years later, Mountain States Aviation’s Piper, Stinson and Ryan Navion operations moved to Hangar 2 at Stapleton Airport. The last flight, a Ryan-Navion aircraft, left Combs Field in 1949. The move came after a campaign to shut down the air field, mainly due to air congestion at nearby Stapleton Airport. The reasoning was that the small planes landing and taking off at Combs were a danger to both residents and planes going in and out of Stapleton. In 1950, Mountain States Aviation, which would eventually be credited for pioneering exceptional marketing and customer service techniques, obtained the coveted Beechcraft franchise for Colorado, Wyoming and Montana. Four years later, Combs bought out Hayden’s share of the business. The fixed base operation and all of its operations were now known as Combs Aircraft Corporation. However, in 1956, Mountain States Aviation would be reactivated as a new corporation, to handle Piper and Stinson dealerships. In 1958, Combs Aircraft Corporation, operating out of Stapleton Airport, became the leading Beechcraft distributor in the United States. 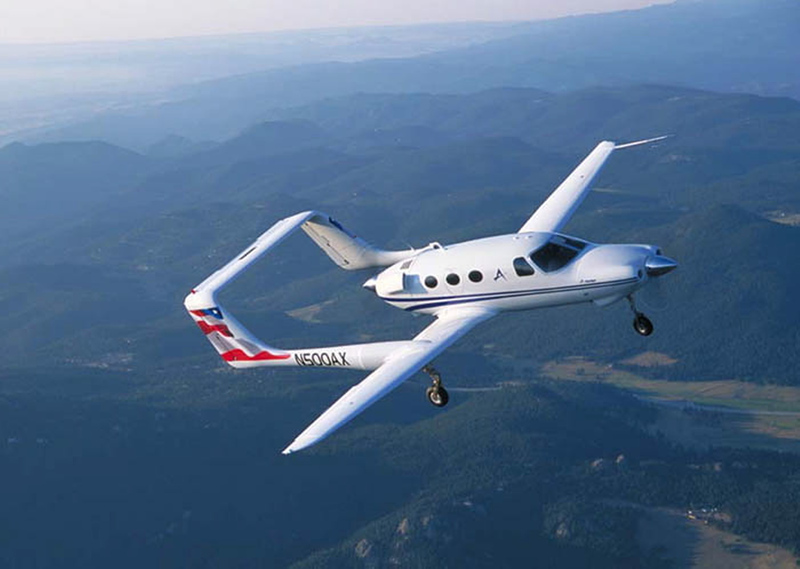 In 1962, they became Beechcraft’s largest distributor in the world. The company accounted for nearly 10 percent of factory total production. Harry Combs, who had organized an advisory council for Beechcraft, was named “Beechcraft Man of the Year.” That same year, he sold Mountain States Aviation, operating at that time as a dealership for Piper and Stinson. Over the years, many wondered why the onetime golden boy of Beech had a falling out with Olive Ann Beech. Was it his connection to the flamboyant, mustachioed Roscoe Turner, and his company, Roscoe Turner Aeronautical, an FBO that had been founded in Indianapolis in 1932, and was at one time a Beech dealership? Or had Combs and Beech really quarreled because Combs made a disparaging remark about Beechcraft’s King Air in comparison to the Learjet: “There is no comparison, Olive Ann. The Lear is twice as fast and costs the same amount.” Or, was it just because he became involved with the Learjet, through his association with Bill Lear Sr. and Charles Gates of the Gate’s Rubber Company? In 1955, the first jet landed at Combs. It was a French four-passenger MS-760 Morane Sauliner, powered by two turbojet engines, with a cruising speed of an astonishing 410 mph, and a range of 1,000 miles. Combs might not have known it at the time, but he would soon enter the jet age—at full power. In 1961, President John F. Kennedy appointed him to “Project Beacon,” a special task force charged with modernizing the nation’s air traffic control system. Combs’ plan for segregating air traffic based on aircraft performance was adopted by the committee and eventually partly implemented by the FAA. That same year, Combs participated in a “see and be seen” capability test with two F106Bs (supersonic fighters) at 52,000 feet. Both aircraft reached twice the speed of sound, at a closure rate of 3,000 miles per hour. Along with helping to establish an air-training base in Arizona for CIA Covert Operations, he was appointed to the National Air and Space Administration’s Technical Advisory Committee, in the early stages of the manned space program, and participated in a weightless experiment at Wright Patterson Air Force Base. Combs recalled that he became acquainted with Charlie Gates when they began swapping hunting adventure stories and outfitters. “We had the same hunting guides in Kenya and in Botswana,” recalled Combs. In December 1966, the Gates Rubber Company purchased Combs Aircraft for $1.5 million. Combs Aircraft, renamed Combs Gates Denver Inc., became a subsidiary of Gates Aviation Corp.
Combs retired briefly. However, months later, he decided to try to help his friend, Roscoe Turner, whose company, located at Indianapolis Airport, was in financial difficulties. Combs discussed the company’s woes with Gates. But another hornet’s nest was soon stirred. Lear Jet Industries, founded by William P. Lear Sr. and based in Wichita, was also financially troubled. After making a trip to the plant, Combs reported to Gates that the problem wasn’t with the aircraft, but with sales. Combs introduced Gates to Lear, leading to Gates Rubber Company’s purchase of the controlling interest in Lear’s company in April 1967. Combs recalled that Olive Ann Beech thought Combs Gates wanted to get control of her company, because someone had told her they were going to buy controlling stock in Beechcraft. At that time, Combs Gates Denver Inc. was still a Beechcraft distributor, but Beechcraft eventually cancelled all of their dealings with Combs Gates. On Dec. 2, 1969, the shareholders of Learjet Industries Inc. ratified an agreement of reorganization, and Gates Aviation became a wholly owned subsidiary of Learjet Industries. The name was changed to Gates Learjet Corp. Combs, who had some stock in the company, was elected to serve on the board of directors of Gates Learjet. The same year, Combs Aircraft purchased the assets of Pacific Airmotive, which became Gates Aviation Palm Springs, Inc. In October 1971, following the untimely death of G.H.B. “Hig” Gould, Combs was elected president of Gates Learjet. On October 7, Combs (whose beginning salary was about $50,000 annually) headed for Wichita. Soon after his arrival, he became aware that everyone was “leery of Lear.” At that time, the company had a $13 million deficit and several problems. One was Lear’s design of his model 24-D, a Swiss fighter. “Bill Lear said, ‘When I finally got the cabin worked out, I damn near shot myself.” There wasn’t enough room. It had the old Air Force engines on it. Plus, the first jets, straight jets, ate fuel like it was going out of style, and they had quite a restricted range,” said Combs. Combs quickly moved to work on one prospect in Bogotá, Columbia. The first day, he told a pilot he would need him to demonstrate the plane in Columbia that Friday, and would need him to fly out on Wednesday. The pilot’s first response was that he played golf on Wednesday mornings, but he would go—after the golf game. Combs then agreed that he could make the trip on Thursday. Then Combs gave the pilot, who had no selling experience, a short lesson. “I told him, ‘Look at the magazine racks; the guy’s wife might be around. Make sure there aren’t a bunch of girly magazines there. Then, find out what kind of whiskey he likes and put it in the bar.’ I’d been making a living doing this. I knew something about it. I said, ‘Clean it up. Fix it up. Make it look pretty! Scatter some pictures here and there! '” Combs recalled. The Lear took off at noon; three hours and 10 minutes later it was in Belize, British Honduras, and it was in Bogotá by sundown. “They were trying to sell on the old Beechcraft system, which was the basis upon which these old firms—Beech, Piper, Cessna—built their dealers,” he said. “If a guy in Montana wanted to sell a Cub, he’d have to fly that thing all the way to Florida, offer the customer a price, and hope he was doing the best he could. Combs soon held the first of many meetings. “I said, ‘We have to hold hands, girls, and see how we’re doing,'” he recalled with a smile. “I took the hangar and painted the floor white with a big red circle. Then I took a beautiful white Lear and stuck it on the circle. We put seats around for 30 or 40 salesmen. Colorado Women’s College Flight School at Combs/Hayden Field. “By June of 1972, we had $15 million bucks in the bank and we didn’t owe anything. Plus, we had back orders; we were going like hell!” recalled Combs. In 1973, the same year he was nominated into the Colorado Aviation Hall of Fame, Combs was acknowledged as the first industry president to be rated in a jet aircraft manufactured by his company. The following year, the General Aviation Manufacturers Association honored Combs as their “General Aviation Man of the Year.” He would also be elected as the organization’s chairman in 1978. In 1975, Combs Gates, Denver opened a new executive terminal on Stapleton’s north side. Two years later, an independent survey of over 30,000 professional pilots recognized Combs Gates as the number one FBO in the nation. That honor would be repeated over the next 14 consecutive years. In 1977, Gates Learjet’s three facilities—Combs Aircraft, Roscoe Turner, and Gates Aviation, Palms Springs—were officially consolidated under the name Combs Gates Inc. In 1978, Combs Gates Inc. purchased Arapahoe Aviation, located at Arapahoe County/Centennial Airport, from Roy Romer (who would later serve as governor of Colorado). Arapahoe Aviation became Combs Gates Arapahoe. The following year, a team of Chinese engineers and aids visited the Learjet plant in Tucson. They were searching for five airplanes that could fly high and be converted to carry radios and radar equipment that would detect anything within a given distance from China’s eastern to western borders. After the tour, Combs was invited to visit China. On Dec. 10, 1979, he flew the first private (non-government) Western airplane into Red China. He flew a Lear over the Elysians to Guam, and then on into Shanghai and Beijing. Their demonstration resulted in the sale of five Lear 35s, at $1.5 million a piece. In 1980, Combs Gates secured leasehold at Fort Lauderdale-Hollywood Airport, establishing Combs Gates Fort Lauderdale. Two years later, in 1982, at the age of 69, he resigned from Combs Gates. By the end of his term as president, the company had $240 million in equity. During his presidency, they produced Learjet models 24, 25, 28, 35, and 55, and received FAA certification for normal flight operations up to 51,000 feet—the highest cruising altitude approved for any civil aircraft in the world, except the supersonic Concorde. 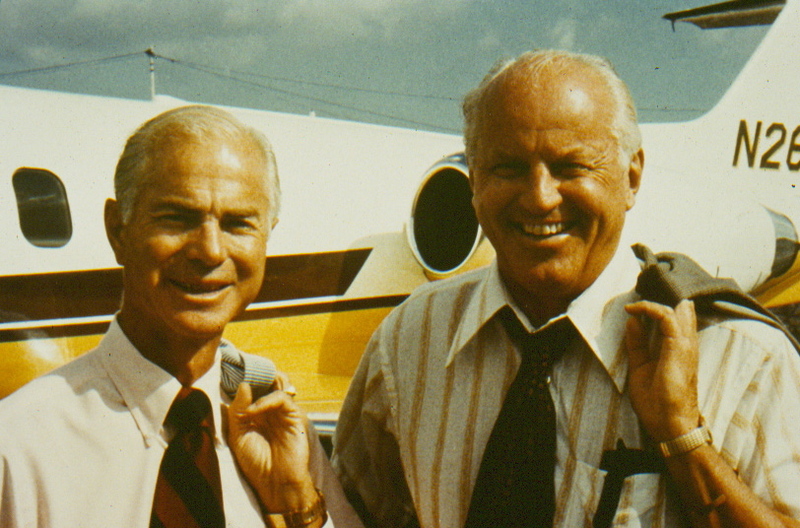 With Combs no longer at the helm, in July 1983, Combs Gates dedicated a new executive terminal at Fort Lauderdale Airport, which included Gates Learjet/Garret AiResearch 731’s major service center complex. A year later, they dedicated their Gates Learjet/Garret AiResearch 731’s major service center complex as part of a new executive terminal at Combs Gates Bradley. Combs Gates Denver dedicated a new corporate headquarters/executive terminal and Gates Learjet/Garret AiResearch 731 major service center complex on the southwest side of Stapleton International on Aug. 28, 1987. In July 1988, AMR Service Corporation, a sister company to American Airlines, purchased Combs Gates’ network of six FBOs. Those bases were consolidated with three existing AMR Service FBOs as AMR Combs the following year. (The maintenance part of the company was sold to Bombardier.) In 1990, AMR Combs McAllen (Texas) opened and the company expanded into Mexico. In 1998, AMR Combs, based in Dallas, began looking for a buyer for its 14 FBOs, all domestic except one in Mexico and Hong Kong. The decision was made based on the parent company’s decision to focus solely on its core airline operations. At that time, four of the sites—Hartford, Indianapolis, Fort Lauderdale and Denver-Bombardier Aviation Services—were operating service centers for Learjet, Challenger and the new Global Express. In March 1999, in a $170 million transaction, AMR Corp. sold AMR Combs, its executive aviation services unit, to Signature Flight Support, BBA Group’s service division, which added the FBOs to their already existing 42. That ended Combs’ name association, but his memory lived on. Signature Flight Support DIA is located at 7850 Harry B. Combs Parkway. 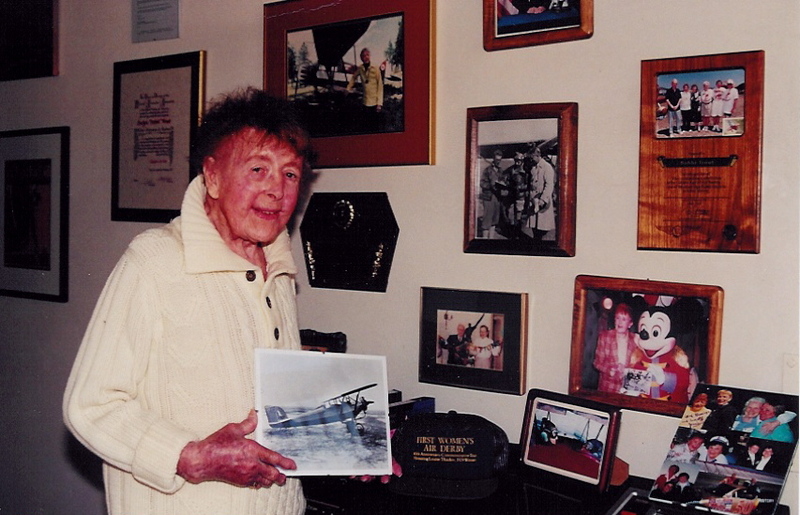 There, a Combs’ Wall of Fame chronicles this aviation legend’s legacy. Combs contributed in various other ways to the field of aviation. From 1951 through 1954, he served as state director of Civil Defense for Air. He was elected to the board of directors for the National Aeronautic Association in 1980. He also served on the board of governors of Aerospace Industries Association of America. He received the U.S. Department of Transportation FAA’s Distinguished Service Award for leadership in promoting flight safety, and The Wings Club’s Distinguished Achievement Award for contributions to the development of the general aviation industry. In 1982, he became the president of the Wings Club, and in 1983, he was elected an honorary member of the Lafayette Flying Corps. 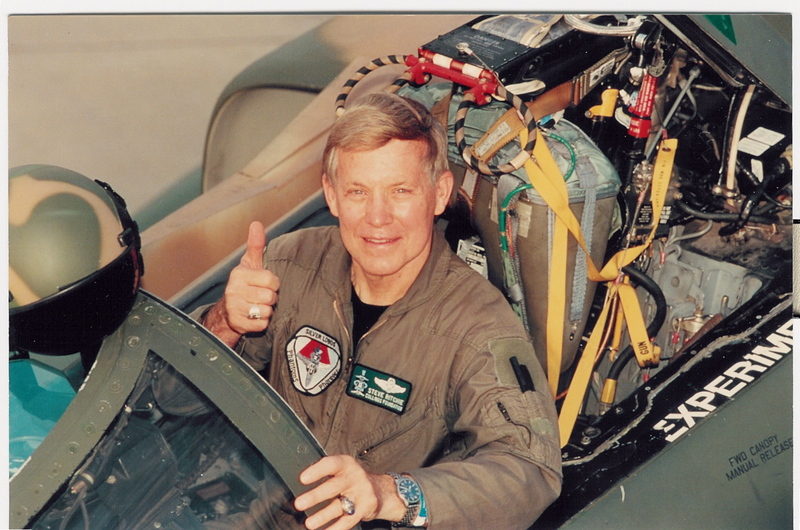 He was elected the National Aeronautic Association’s “Elder Statesman of Aviation Award” in 1984, and in 1996, he was nominated into the National Aviation Hall of Fame. Combs logged more than 21,000 hours as a pilot and, while in his 80s, still owned a Lear 35 and a Bonanza 36. He often still flew the Bonanza into his late 80s. 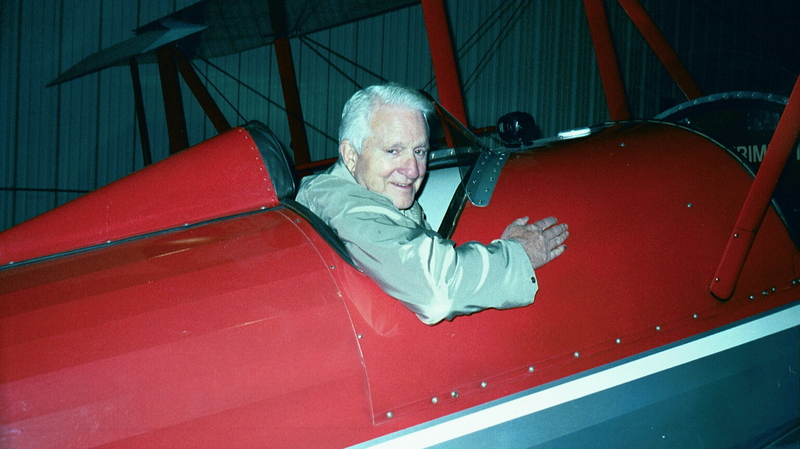 In July 2001, at the National Aviation Hall of Fame’s annual enshrinement ceremony, Combs gifted the organization with $1.2 million to fund the development of a world-class research facility. The NAHF’s Learning and Research Center, which opened in 1998, is located in Dayton, Ohio, adjacent to the USAF Museum, just a few miles from Huffman Prairie, where the Wright Brothers perfected their flying machines. Additionally, Combs funded an annual $20,000 NAHF research award, to be presented to an individual or organization that completes a project advancing the preservation or promotion of American aviation history. “Mr. Combs’ support of the NAHF, and his $1.2 million gift is just one more example of his lifelong dedication to American aviation,” said NAHF Executive Director Mike Jackson at that time. 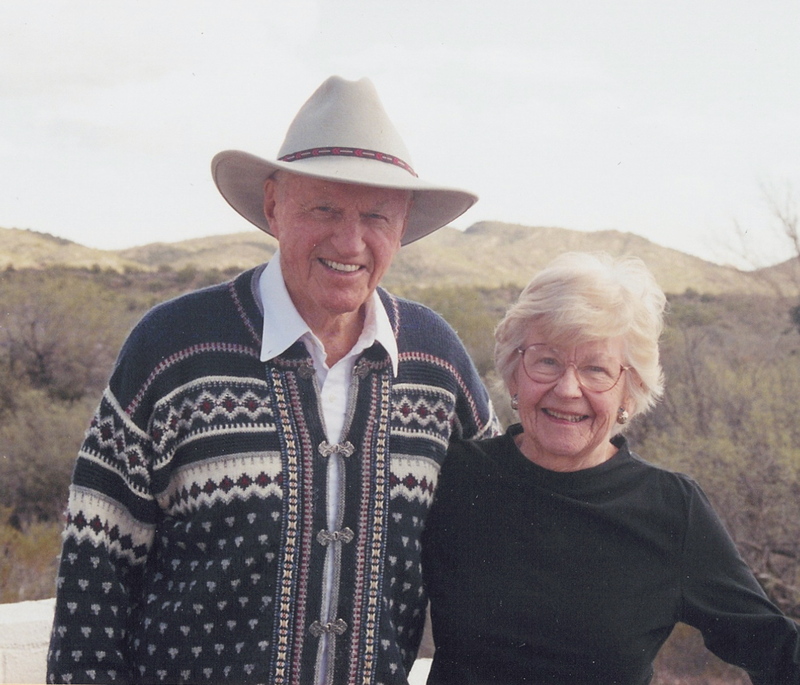 Combs was an avid horseman and rancher. Besides The Sleeping Indian, a cattle ranch in Ridgeway, Colo., he at one time owned two other ranches in Colorado-a 19,000-acre working cattle ranch and game preserve in Elbert and El Paso counties, and a 6,000-acre cattle ranch and game reserve in Ouray County. Through that ranch, Combs met Colorado Governor John Love. From 1964 to 1971, he served on Love’s Colorado State Game and Fish Commission, serving as chairman from 1970 through 1971. In 1966, he was named to the Colorado State Air and Water Pollution Board. On one of the occasions when he was hunting at the ranch, Love, who had stand tickets, asked Combs if he wanted to go with him to see the Apollo 11 launch at the Kennedy Space Center. Combs would never forget that momentous occasion; Love would also be instrumental in Combs’ friendship with Neil Armstrong. Shortly after that, Love called Combs and told him he had spoken to the FBI about a badly needed rest for Armstrong. So, the astronaut and his wife and two boys came to the ranch. With the help of a high-powered telescope, Armstrong showed them where he had landed and mapped out his moonwalk. Later, Combs and Armstrong made a hunting expedition to Scotland. It was during the mid-1970s that Combs would seriously regret missing that chance to meet Orville Wright years earlier. As a member of Conquistadores del Cielo, an elite group of prestigious aerospace executives, Combs often placed bets against other members regarding not-so-well-known aviation history. One day, Combs found that his knowledge of the Wright brothers was lacking. First, Jim Greenwood, a fellow staff member at Learjet, supplied him with some information he didn’t know about the Wrights. Then, Armstrong, by then a good friend, presented him with the Wright Brother’s diaries. Those two incidences led Combs to begin seeking out the entire truth about the Wright Brothers. His search led him to North Carolina, where the Wrights’ first flights took place. “The French newspapers called them the bluffers,” Combs, who spent about three years researching the circumstances surrounding their claim to fame, said of the brothers. Combs was adamant in defending Wilbur and Orville’s place in history. In 1979, Combs’ definitive work on the Wright brothers, “Kill Devil Hill: Discovering the Secret of the Wright Brothers,” was published by Houghton Mifflin. 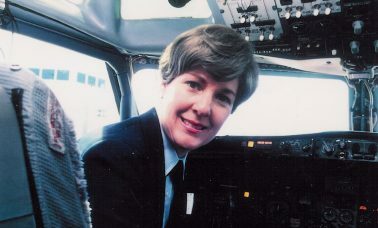 It won several prizes for excellence in aviation writing, including the Aviation/Space Writers Association’s award for top national winner in the nonfiction aviation category in 1980, and, that same year, the James J. Strebig Memorial Award, the nation’s highest honor for aviation writing. In 1983, he completed, “How Strong is the Wind,” a 40-minute film based on his book. Produced as a public service, the color documentary, which he narrated, was distributed to educational, industrial, business and professional organizations worldwide, as well as being seen on national television. In 1985, Combs was the recipient of the coveted Wright Brothers Memorial Trophy for “over half a century of significant and enduring contributions to aviation as a pilot, an industrial leader, an author, and an advisor to government in the United States.” Vice President George Bush presented the award. Each year, the National Aeronautic Association presents this award to a new recipient on the anniversary of the historic first flight at Kitty Hawk, N.C. Other recipients have been Charles A. Lindbergh (1949), Lt. Gen. James H. Doolittle, (1952), Dr. Igor I. Sikorsky (1967), Senator Barry M. Goldwater (1973) and Olive Ann Beech (1980). Fifteen years after completing “Kill Devil Hill,” Combs, who in his latter years summered at a ranch in Montana and wintered in Wickenburg, tried his hand at writing a Western novel. “Brules,” completed in 1992, is the story of a mountain man named Cat Brules and a young man brought up on a ranch in Colorado who befriends him and hears and tells his story. The book came about after Grandfather Combs found a way to entertain his grandchildren through storytelling. “He used to have grandchildren come up to the ranch every summer and they would say, ‘Granddad, will you tell us the story of Cat-Eye? '” recalled Virginia (“Ginney”) Combs, who, in 2001, was celebrating 45 years of marriage to Combs. Combs’ other interests included archeology. His life’s adventures included brown bear hunting and fishing in Alaska, fishing in the Canadian Yukon and New Zealand, skiing, flying uncharted Alaskan bush country prospecting uranium, and several safaris to Africa—Kenya, Uganda, Mozambique, Southern Rhodesia (Zambia) and Botswana.